Looking to start a project? Here are some of the services we often do for masonry work: bricklaying, stone masonry, fireplace installation, veneer walls, concrete bricks, stairs, stone, concrete, and brick steps, driveway, foundations, brick mortar repair, retaining walls, and many other masonry services. As one of more experienced companies in the art of concrete, stone, and brick masonry, our years of experience and dedication to perfection kind of take over anytime we begin a job. We can ensure our customers that we are a company worth hiring. All of our professionals that we hire are trained to provide quality customer service to our customers, as well as construct and build masonry designs with our advanced technologies. All of this is what makes Roseville Masonry unique compared to the other masonry construction companies. We understand the decision making process necessary to figure out how you want to go about adding a new addition to your property, so stop banging your head against the brick wall and let's help you figure out what direction you want to go in. What is firstly important is finding the right company for the job? We understand what kind of people are calling us up, and we make it well known that we are here to create something that our customers have worked so hard for. Whatever kind of masonry construction you are getting, it's gotta be strong, it's gotta be sturdy, it's gotta last long, and with Roseville Masonry, you won't even worry. We are fun, we are easygoing, and most of all, we are very professional when it comes to our work. If all of this is sounding like the kind of masonry company you were looking for, pick up the phone, and start dialing! When you call over the phone we can help give you a ballpark quote, and then come check out the property and get you a proper estimate and what we could be working with. You're also going to get a rock solid warranty, and a maintenance package. We make sure we take care of our customers and maintain a long lasting relationship with each clientele that we work with. After years and years of managing, and laboring over all different types of masonry services, we can confidently say that no type of job is out of our realm, and we happily take on anything that we can chew. If you are a homeowner, take solace in the fact that we have been helping the everyday average family to the high tier "their checkbooks are open to create a masterpiece" kind of masonry job. For homes, typical masonry projects are installing stone and brick fireplaces and chimneys, make shift brick and stone walls, and stone steps and stairs. And that's just indoors. 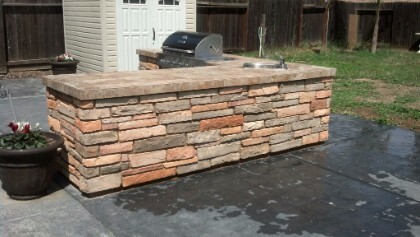 Outdoors, there is all sorts of masonry that we do. 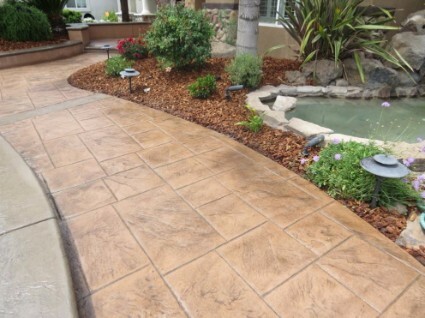 We pour and do stamped concrete designs for driveways and patios. We create retaining walls made of any material, be it brick, stone, or concrete. We do veneer and tuckpointing for walls, steps, and stairs that we build. We are always painting, molding, grinding, sealing, resurfacing, and paving concrete. 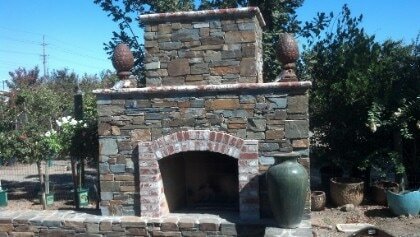 We install brick and stone fireplaces and barbecues. We do a lot of wood work for walls, framing, and forms for pouring concrete before we start the slabwork. We install brick, and stone driveways, and do grinding, paving, stamping, coloring concrete driveways. We build retaining walls for raised gardens and to hold a hill. It's pretty much the same story with commercial masonry. 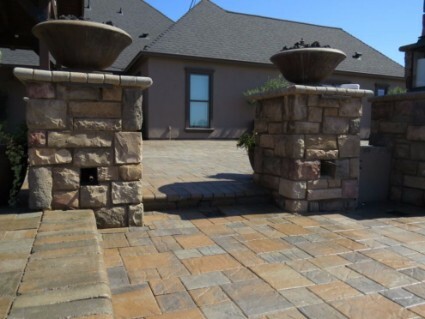 We manage many local company concrete installations and take care of a lot of brick and stone work too. Commercial businesses hire us because of the ease they have when working with us, and the appearance of all the projects we create when they are complete. A lot of our business comes from repeat customers, and we didn't get that why by being a bunch of goofballs. I mean, we are goofballs, but we put in the hard work too. We have a portfolio of models to go after, but depending on what kind of build you are looking for, we can match the model, or we can customize your project design. There are all kinds of different angles and materials we can go with for any given project. So, when you next question might be, "What kind of work do your masonry contractors do?" ​To answer that, we present, some of the list included in our portfolio of masonry: concrete blocks, brick masonry, stone mason, retaining wall build, tuckpointing, fireplaces, stairs, steps, walkways, sidewalks, concrete driveway installation, pouring concrete, flatwork, stamped concrete, brick walls, wood retaining walls, stone walls, paving, brick mortar repair, concrete grinding, crack repair, brick veneer, cinder blocks, foundation, stamped concrete, paver stones, residential, commercial, architectural masonry, resurfacing, concrete/brick patios, barbecues... and we can get you a quote on any of these repairs, or installations. ​Got any other questions, you call, we answer. Construction has been going on since we humans decided to congregate with one another. Millenniums ago when the Egyptians were building giant structures and their pyramids, they were conducting masonry work. When the Roman's were staking their claim in each city they entered in, they did so by leaving some sort of foundational mark. When the settlers came to CA, they began leaving their mark on the city we currently live in and began filling their landscapes with brick walls, stone pathways, and creating foundations for their houses and buildings. This line of work is not new, but it is updated constantly. We are one of the few companies that is up to date on the technology available for constructing what we believe are works of art for our customers, and, at the very least, fancy designs. 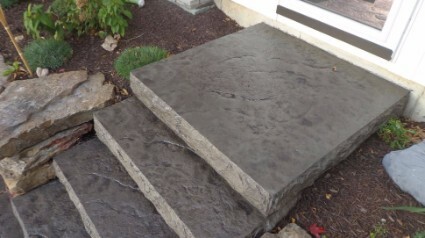 Some of the concrete, brick, and stone work we do is for a normal essential purpose, like installing concrete driveways or creating concrete stairs that go into your home. But quite a bit of our masonry services follow the protocol of make it original, and make it pop. We love these kind of jobs, because this is the kind of stuff that sets us apart from our other competitive masons. We separate from your average, run out of the mill masonry "experts" by creating what we like to call creations. We believe we are adding something to the architectural style of today's age, and making creations that will last, could last thousands. Our greatest hope will be in a thousand years, the future will be digging up your projects that we create from underground, and be admiring the style and taste of the modern century. After our initial consultation with the customer, we work out the exact amount of materials needed for a job, and how much time will be put into it. This helps us get a precise understanding of how much it will cost, and then we can provide you with a proper estimate of the service. 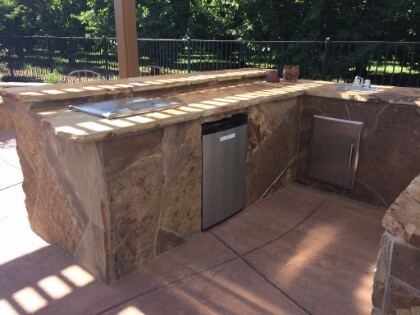 Now whether that be creating some cool stone and brick veneer block walls, or putting our skills to fireplace masonry, you can bet your dollars that we craft and construct pieces of work that you are definitely going to appreciate. 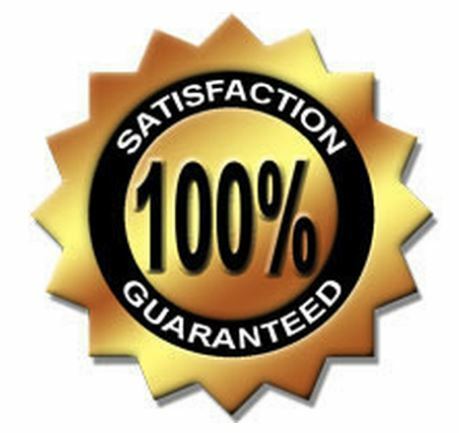 Add on to that job the quality customer service and the quick turnaround time, and we think you will be calling us back next time a new project pops up in your mind. 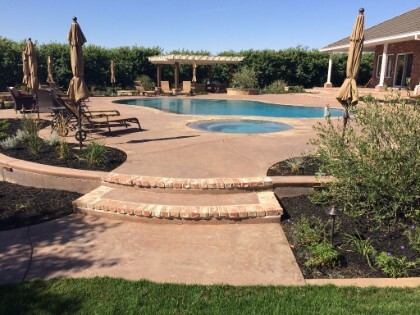 For all of the random kinds of masonry construction that we do, we get tons of requests North, and East of Sacramento, CA. If you are in either of those directions, chances are, we are able to service your projects too. If you live in one of the listed cities, or a town nearby, feel free to call us up for any concrete, brick, or stone work you are looking for. We do installations, repairs, and replacements for just about anything related to those materials. You can reach our line at (916) 502-9270. In this fast growing area of Sacramento Counties among others, there is a lot of homeowners, property managers, and businesses who are looking to get a fresh update to their property. Rather than constructing easy box shaped projects, some people like to add a little bit of flavor to their properties. The professionals that we have on our team, with years of experience under the belt really exemplify what it means to create appealing work that can stand the test of time. 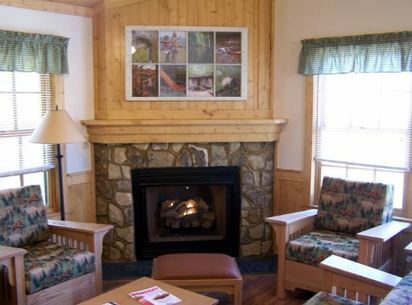 It can often take a professional's touch to make some of these projects durable. Create a patio that enhances your yard while your friends dance the night away on it. Enjoy the summer fun by creating a brick barbecue to cook up some meats for the kids. 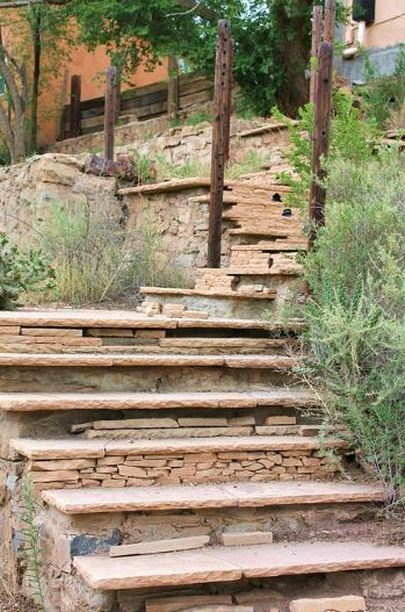 Add a customized stone walkway to go around your yard so the kids don't drag dirt everywhere. Not enough space on the driveway for three cars? We can add some room to your slab so your new teenage driver can have their own spot too. The possibilities for additions are endless, and you don't want to risk messing up or hiring a contractor who is not as skilled as other Roseville masonary's. We construct all of your dream projects and make it a reality that you can admire for the rest of your life. After working on a new stone patio, a retaining wall, or tuckpointing your brick wall, your yard is going to be the hot spot for family and friendly pictures to be taken for years to come! Give us a call at (916) 502-9270. 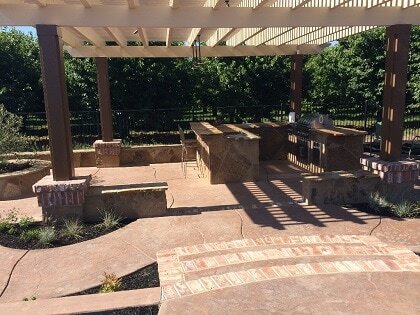 For all of the hundreds of different styles of stone work, brick work, and concrete work that you can choose from (and we have pictures available for you to compare), we are still able to keep our costs low so our customers are willing and able to come back to us when they have their next project in mind. For most of the popular styles and the materials used in our creations, their is a lot of variety to choose from. And we are not the company that does anything in a normal way. When we build, you can bet whatever it is, it will come out looking unique, and original in its own right.